The cable has been under pressure in recent five weeks, the extent of the selling is in line with our forecast. The dollar strength and the no-deal/hard Brexit context is hitting the GBP sentiment very hard. The pound has activated the “reverse thrust” across the board again, ever since the MPC hike last week. “No-Deal” headline took back the central stage after the MPC’s unanimous 25bps hike. Following the last week’s unanimous rates hike, we are more focusing on the first estimate of the Q2 GDP. We expect prelim Q2 GDP to print 0.4% vs 0.2% earlier and GDP on MoM basis to print at 0.3% vs 0.2%. The relentless selling drag the cable to the 61.8% fib reaction (Oct 2016 low-Apr 2018 high), its lowest point since August 2017. It is down for a sixth straight session, is quoting at 1.2830 in the Asian session. Today in Asian session the price run through the target we set last week (Aug 06). 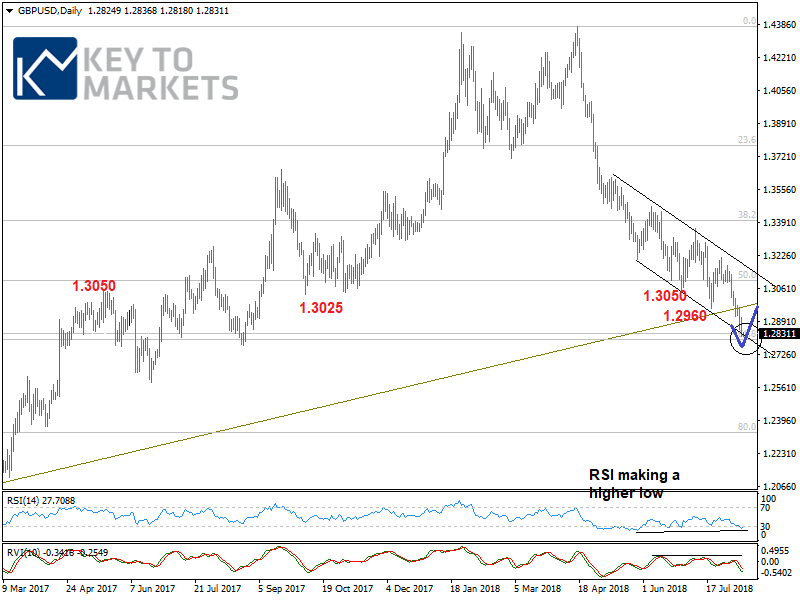 The four-hour RSI study has been consolidating in an oversold zone, and the daily RSI study landed in oversold territory with a higher low at 28. Under these conditions, we foresee the price could hold the region 1.2800-1.2770 ahead of the UK GDP release. Resistance seems to be at 1.2840, 1.2880 and 1.2910. A well above 1.2850 bulls will rally the strength to resume quick rally to 1.2900 and 1.2950 levels. The flip side, with breaking down the 1.2770 in continuation which opens the way towards 1.2700 its 161.8fe (1.3472-1.3050-1.3360). 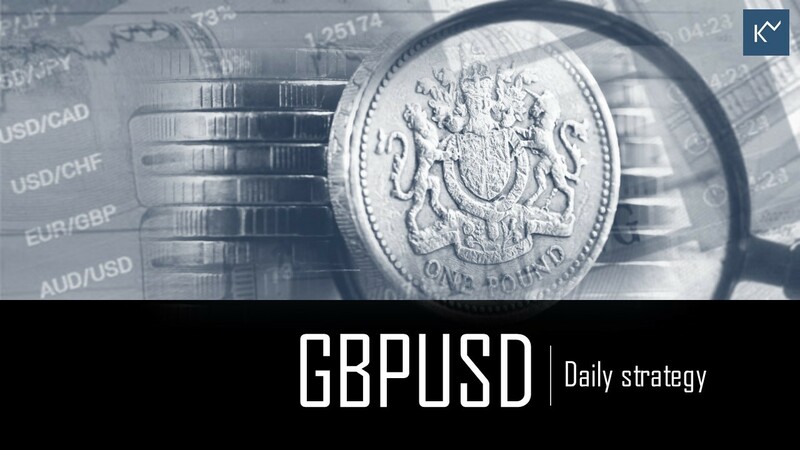 The bulls could be concerned if GBPUSD could not push-and hold-above 1.2910 over the day. Crude oil price preview, The price manages to erase the two-weeks descending trend line.